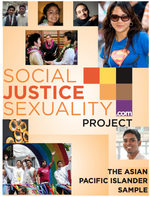 The Social Justice Sexuality Project is one of the largest ever national surveys of Black, Latinx, and Asian and Pacific Islander, and multiracial lesbian, gay, bisexual, and transgender (LGBT) people. With over 5,000 respondents, the final sample includes respondents from all 50 states; Washington, DC, and Puerto Rico; in rural and suburban areas, in addition to large urban areas; and from a variety of ages, racial/ethnic identities, sexual orientations, and gender identities. 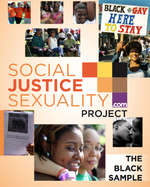 The SJS Project is a knowledge-based study that investigates the sociopolitical experiences of this population around five themes: racial and sexual identity; spirituality and religion; mental and physical health; family formations and dynamics; civic and community engagement. A supplement to the survey asked an additional 600 people about their experience in the House and Ball community, their use of mobile technology, and their experiences with policing. 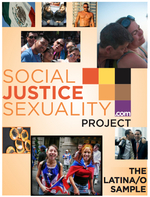 The purpose of the SJS Project is to document and celebrate the experiences of lesbian, gay, bisexual and transgender (LGBT) people of color. All too often, when we think about LGBT people of color, it’s from a perspective of pathology. In contrast, the SJS Project is designed and dedicated to describing a more dynamic experience. We’d love to hear from you if you’re using the data. Drop us a line and let us know how you’re using it: Prof. Juan Battle <jbattle@gc.cuny.edu>.